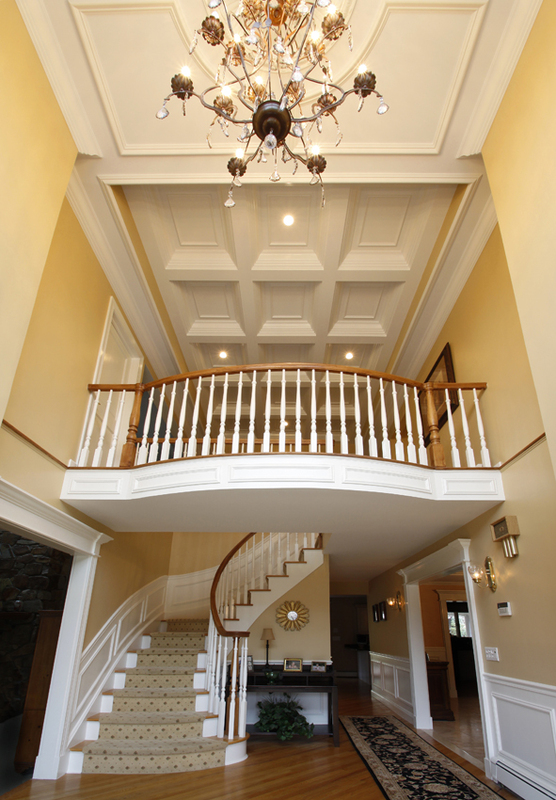 A fundamental change to the way custom coffered ceilings are designed, fabricated, and installed. Coffered ceilings are a strong, beautiful, and versatile design element found in high-end interiors throughout the world. Unfortunately, their distinctive look has always required experienced artisans to spend countless hours onsite designing, measuring, and constructing the grid of intersecting beams one piece at a time. 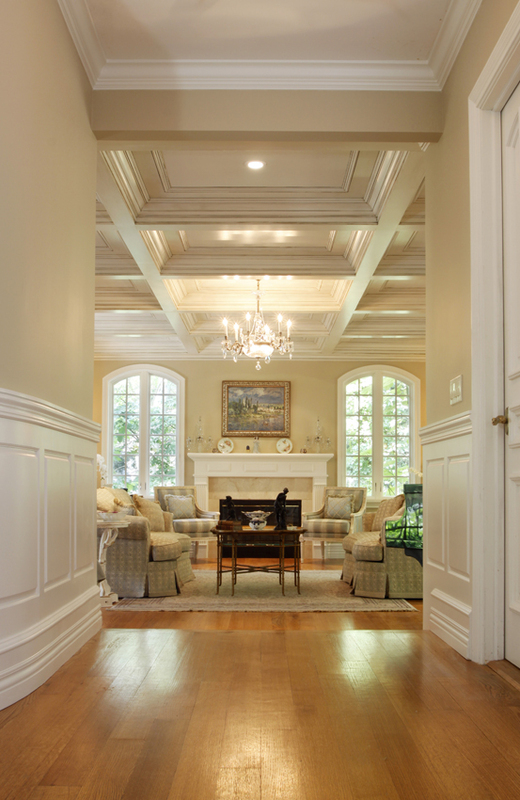 Our coffered ceiling system solves these age-old problems. It combines the best features of a custom design with the efficiency and precision of a modern production facility resulting in a superior fit and finish with installation times that are dramatically reduced versus conventional methods. The system is based on individual coffer modules, which are combined to create the complete coffered ceiling assembly. Each coffer module is a unique piece of a custom millwork carefully mill and assemble each one to precisely fit your ceiling. There are no standard or stock sizes. The integrated ceiling panel design of the coffer modules means you benefit from complete coverage of the existing ceiling surface, but the panel also provides a versatile design element for further design customization. A perfectly smooth ceiling surface inside of each coffer: a timeless look that pairs well with any style or décor. Detail molding opens up infinite design possibilities – anything from a simple square frame to more elaborate appliqués and embellishments. Bead board is a traditional choice: great for any application where you want added detail without frills or fuss. This option elevates the level of visual interest while still maintaining an understated elegance. Arguably the most elegant choice for any panel-type application, our raised ceiling panel option exudes a “wow factor” and is best for very formal applications. If you dream of a panel design that is not covered by these options, contact us for a custom quote. Since material selection is an integral part of your project’s overall look and feel, Wainscot Solutions coffered ceiling system can be manufactured in a variety of material types. 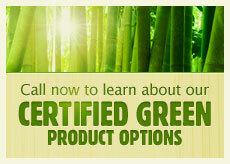 *Certified Green, Fire Retardant, and Moisture Resistant MDF are also available. Contact us for a custom quote. Material types may also be combined to create unique contrasts. 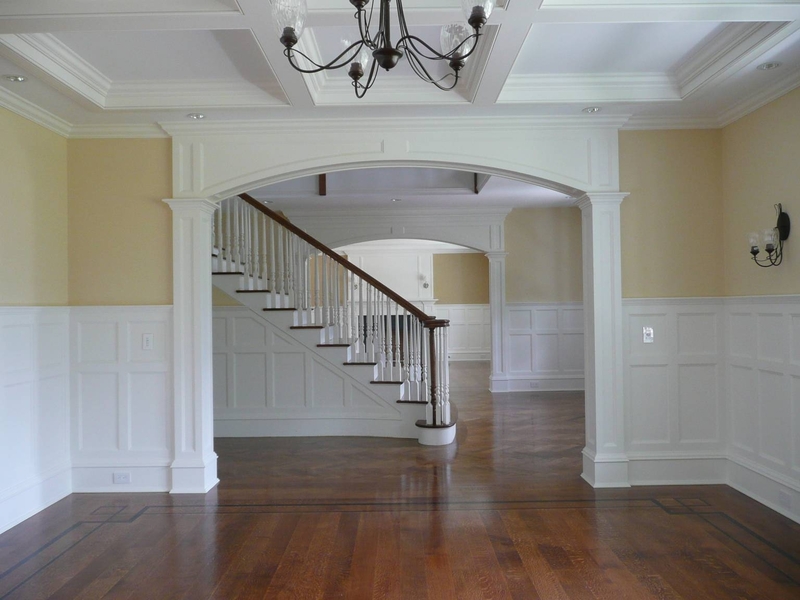 For example, primed beams and crown molding may be paired with Mahogany ceiling panels or Cherry beams and crown molding paired with primed ceiling panels. If your project requires a particular material type or wood species not listed above, please contact us for availability and a customized quote. 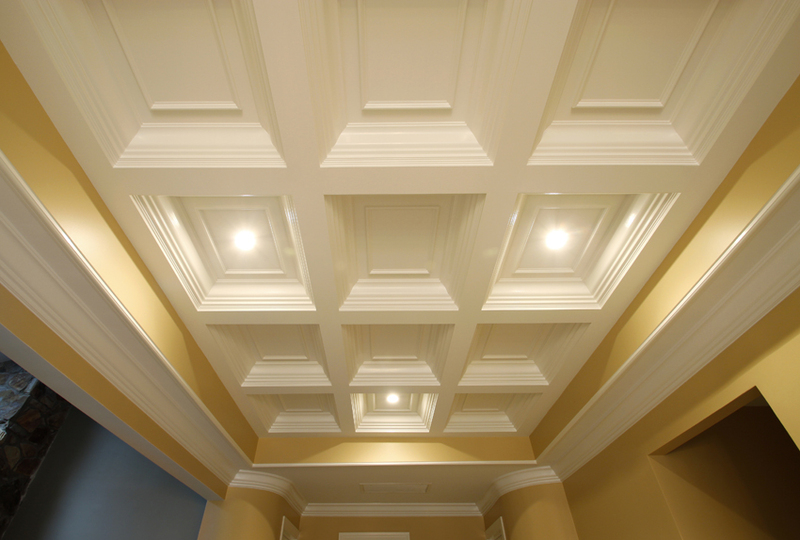 Receive a quote for your coffered ceiling system by phone or email and review. Finalize your ceiling system details and approve your customized design for production. Receive delivery of your coffered ceiling system shipment at your project location. 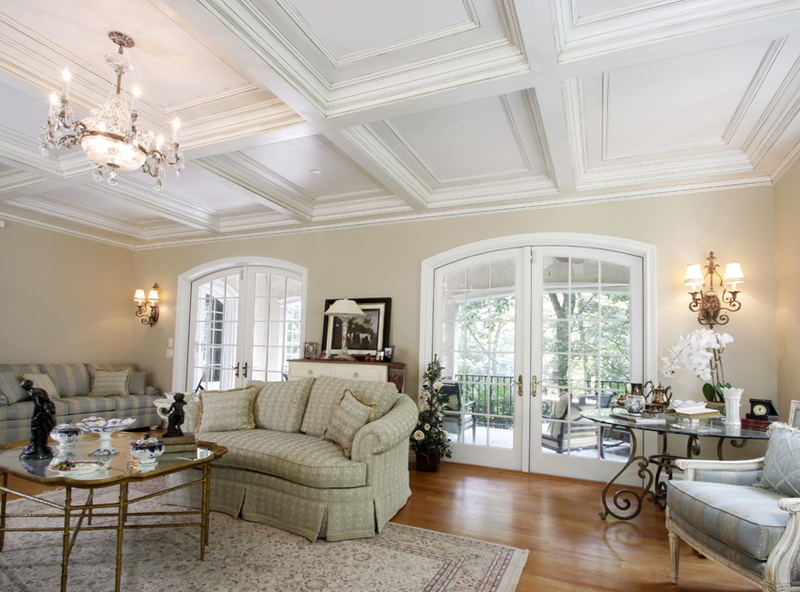 Install your new coffered ceiling yourself in 25% of the time versus conventionally installed coffered ceilings. 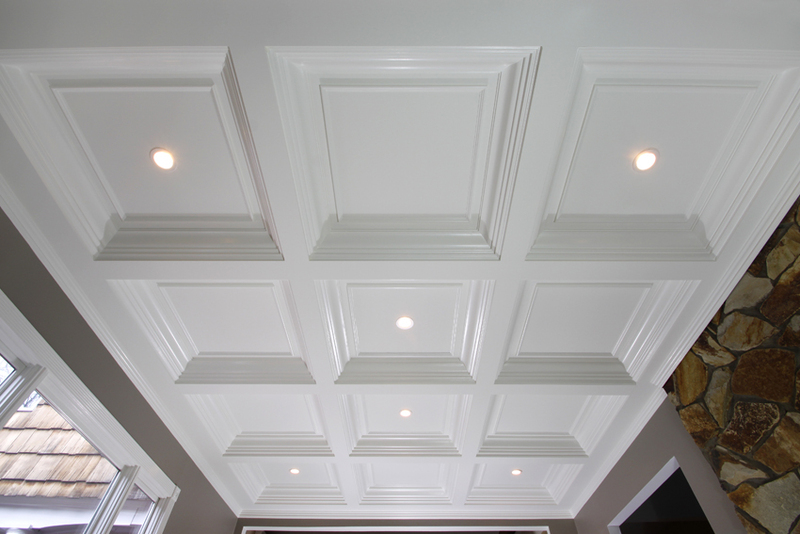 Finish your new coffered ceiling in either paint or wood stain.